NECO’s high purity mobile trailers can have one or several pieces of equipment and bring the solution to you for a planned outage or emergency and can be leased long-term or combined with a capital equipment purchase. These are part of Nancrede Engineering Build, Own, Operate industrial and high purity water outsourcing opportunities that can reduce or remove your capital investment and reduce unexpected down time to help manage costs. Choose from the models above or contact Nancrede Engineering today. We’ll help you find the solution that meets your needs and is ready to go. 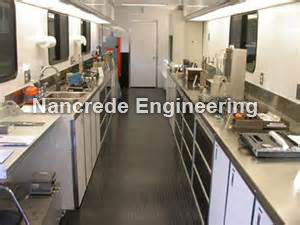 Contact us right now at info@nancrede.com or +1 888 56-WATER (569-2837) to buy or learn more about our industrial and high purity water mobile trailers, or for rapid response service in Indiana, the Midwest and throughout the U.S. for your industrial and high purity water systems. Our experienced engineers are ready to help.